Google has long been trying to recast itself as more than a search company, and has posted a five second spot that shows how far it has evolved beyond the blank box. The company is due to launch a slew of new hardware today, including two new own-brand Pixel smartphones, the DayDream virtual reality headset and the Google Home smart speaker. Google has posted the playful five-second spot to its Twitter account referencing the new Pixel phones. The spot is also running as a dynamic YouTube banner ad. Google has been releasing own-brand phones since 2012, when it launched the first-generation Nexus. Now, according to Android Central, Google will drop the Nexus brand in favour of Pixel-branded smartphones. It appears this is down to a shift in how Google designs its own-brand phones. The original idea behind Nexus was to offer a "pure" Android experience. The new Pixel phones, according to multiple leaks, come with a number of bells and whistles. Coincidentally, Google has poached the man who led the development on Amazon's Dash button, David Foster. The Brit becomes head of product engineering at Google's hardware group, specifically leading on smartphones. 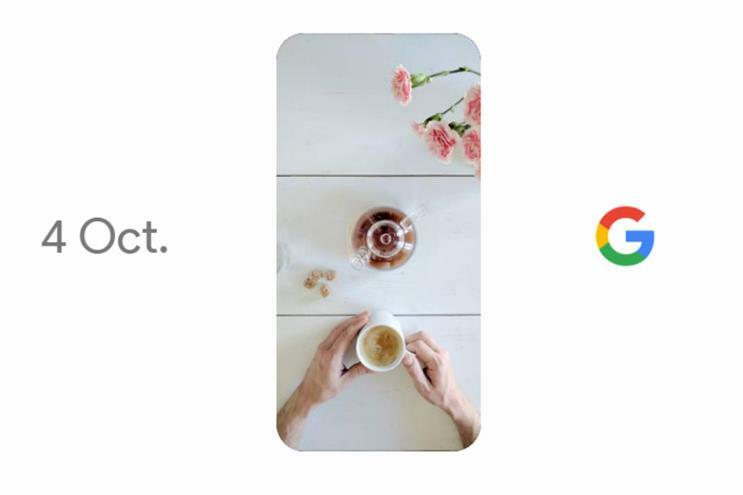 Google is expected to launch two smartphones in different sizes, Pixel and Pixel XL. It is expected that both phones will boast ultra-high definition screens, but the real story is in the software. The operating system will bake in Google's voice assistant, meaning users can activate voice search without touching the screen. Other services, like Google's Allo messaging app also comes baked into the software, though whether this will be a popular choice remains to be seen. The phones are manufactured by HTC, offering a high-end design and will be branded with Google's 'G' logo, launched exactly a year ago. Trademark blogger the Trademark Ninja confirmed the phones' branding and tagline as "Pixel, phone by Google", registered in the EU this week. Google unveiled Google Home, a smart home assistant to rival Amazon's Echo, earlier this year at its I/O developer conference. It iss expected the assistant will be cheaper than the Echo at a reported $129 (£101), and will launch in time for Christmas. Google Home comprises a voice-activated speaker that responds to commands, such as adding an event to the user's calendar or playing music. According to Variety, Google will also unveil its first Daydream VR headset. Again, the company had announced Daydream at I/O earlier this year. Daydream is Google's software and hardware standard for VR, comprising a cheap headset similar to Samsung's Gear VR, and the VR-compatible Android N.
The rumours suggest the new Pixel phones will be Daydream-compatible, meaning they can be slotted into the Daydream headset and will revert automatically into VR mode. Google is also expected to announce a new Wi-Fi router, an updated Chromecast device and, possibly, a new computing OS called Andromeda. Disney vs Google: What would the future hold for Twitter?